Attorney Gary Gibson was born and raised in San Antonio, Texas. Mr. Gibson graduated from the University of Texas at Austin in 1992 with a Bachelor of Arts in English. Mr. Gibson attended South Texas School of Law in Houston and has been licensed to practice since 1996. Mr. Gibson spent the first ten years of his practice with the firm of Plunkett & Gibson, Inc., one of the best trial lawyer firms in Texas. Mr. Gibson handles both civil and criminal cases. Mr. Gibson is an experienced litigator and trial attorney. Mr. Gibson has litigated cases all through the appeals process. 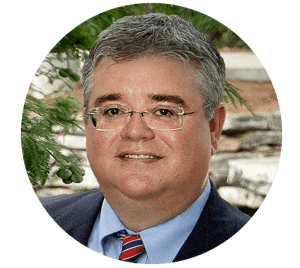 Mr. Gibson is well respected in the Bexar County legal community and currently enjoys concentrating on both civil and criminal matters.